This instrument is used in steam turbine condensers which are operated at pressures below atmospheric pressure. (In a vacuum condition). It measures pressures approaching a perfect vacuum. (0 pressure absolute). The absolute pressure is indicated by a mercury column, usually expressed in inches of mercury. 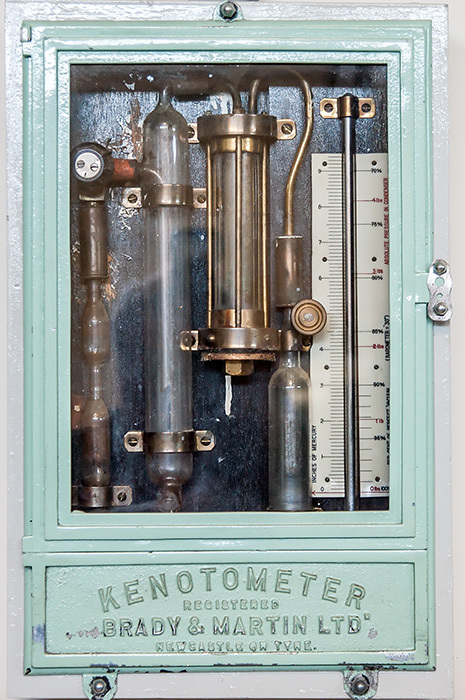 This Instrument measure the very low Absolute pressure in the condenser.